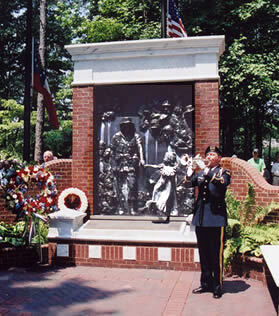 The Largest Memorial Day Ceremony in Georgia – In 1997, twelve patriotic individuals came together to create a truly unique Memorial Day event; a non-political, non-commercial ceremony honoring veterans and the sacrifices they made in protecting our freedom.That first ceremony attracted approximately 1,800 individuals. From that humble beginning, came the Roswell Memorial Day Ceremony, an event which attracts approximately 6,000-7,000 people from throughout Georgia and the southeast. 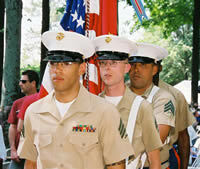 *** The ceremony is held outside, rain or shine – so please bring your umbrellas if rain is in the forecast.